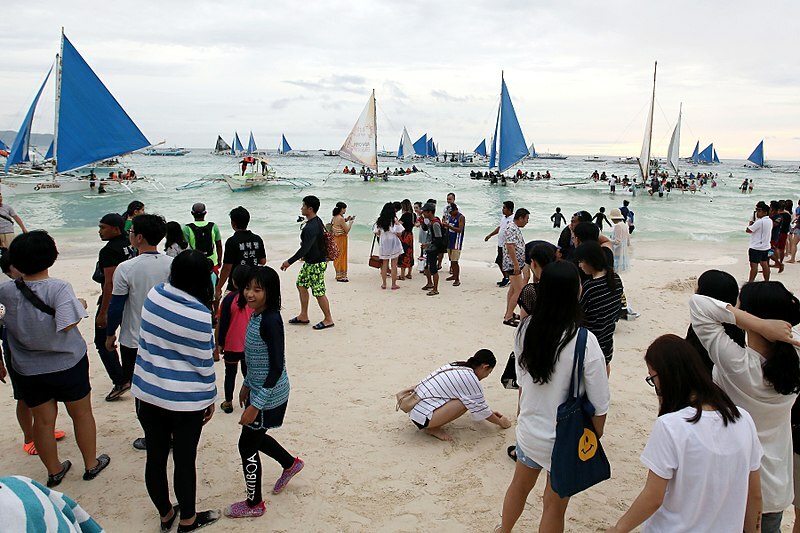 Residents of Boracay in the central Philippine province of Aklan are mobilizing against a plan by the government to shut down  and environmentally “rehabilitate” the world-famous resort island for six months, at the same time that two casinos are in the works. Boracay has long received flak from environmentalists, but these issues suddenly came into the spotlight in February 2018. Calling the resort island a “cesspool,” Duterte declared he would close down the island after six months  if these environmental problems were not solved immediately. Boats and tourists in Boracay. Photo credit: Wikimedia Commons. Duterte's outburst came after an inspection of the island by the government’s tourism and environment agencies in January. Duterte then ordered  Cabinet to prepare for the closure of the island by April 26, without consultation with local stakeholders and in the absence of any master plan  for the development and rehabilitation of the island, or contingency plans for the livelihoods and relocation  of those affected. Several sectors became suspicious of Duterte’s intentions after reports came out that the government has granted the Macau-based Galaxy Entertainment Group (GEG) permission to construct a US$500 million casino complex  in the prime tourist destination. The Presidential Palace announced it was cancelling the deal, yet the Philippine Amusement and Gaming Corporation (PAGCOR) has in fact granted a permit to GEG  and its local partner, Leisure and Resorts World Corporation (LRWC). The company dismissed claims by officials  that they are looking for another venue for the casino. 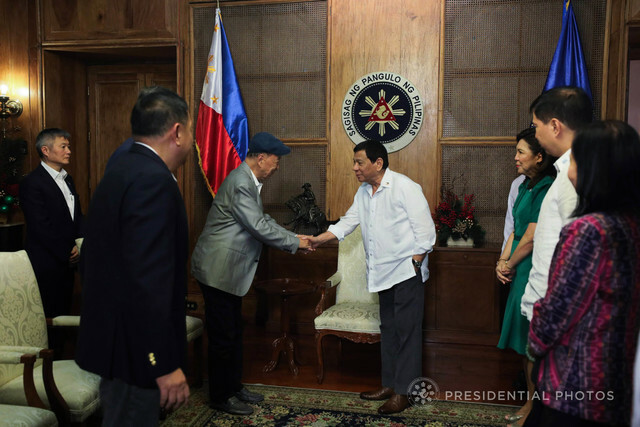 Duterte denied knowledge of a plan to construct a casino on Boracay, but official photos show the president meeting with GEG representatives , led by its chairman Lui Che-Woo and vice chairman Francis Lui Yiu Tiung, at the Presidential Palace on December 6, 2017. PAGCOR officials also said that a second mega-casino complex  is in the works in Boracay, following its approval of gaming operations by a joint venture between tycoon Andrew Tan and Malaysia’s Genting Group at the Savoy Hotel, located at Megaworld Corporation’s Boracay New Coast development. To allay public outrage over the contradiction between the avowed aim of environmental rehabilitation and the building of mega-casinos on the island, Duterte then claimed that Boracay would in fact be subjected to land reform . But many find this statement outlandish , given that there is not much farmland left on the resort island, most of whose area is already occupied by residential and commercial structures. For Ilonggo blogger Samot Tallana , the handling of the Boracay issue only exposes the bankruptcy of President Duterte's environmentalist and populist pretensions. Mass layoffs of tourism workers  in the island have already begun as business establishments scramble to cope with the shutdown. Electricity prices across Aklan are likewise expected to shoot up  as the province’s lone power supplier seeks to recover the P99 million (US$1.9 million) loss from the island’s closure. Many also question the draconian security measures imposed by the government, such as the deployment  of riot police, restricting  access to many parts of Boracay, and preventing  the media from monitoring the planned rehabilitation of the island. 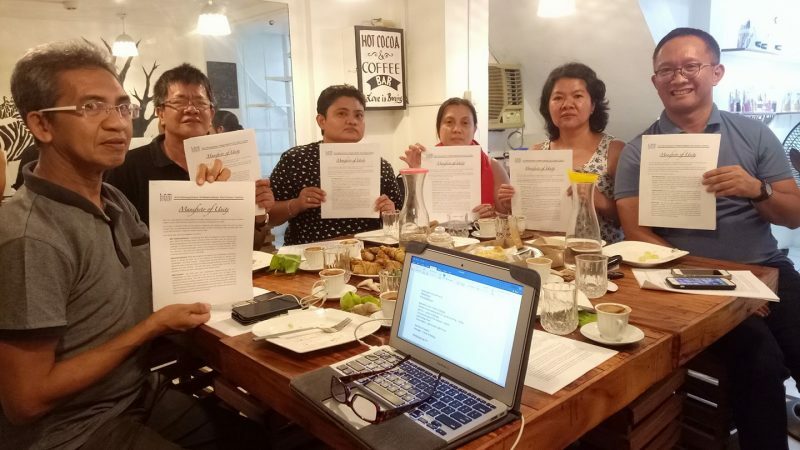 Concerned citizens put up Friends of Boracay network to help campaign against the island's closure. Photo used with permission. While many agree on the need to address Boracay’s environmental woes, the economic destruction to be wrought by the arbitrary and sudden closure of the island has compelled different sectors to close ranks behind the affected residents and workers. 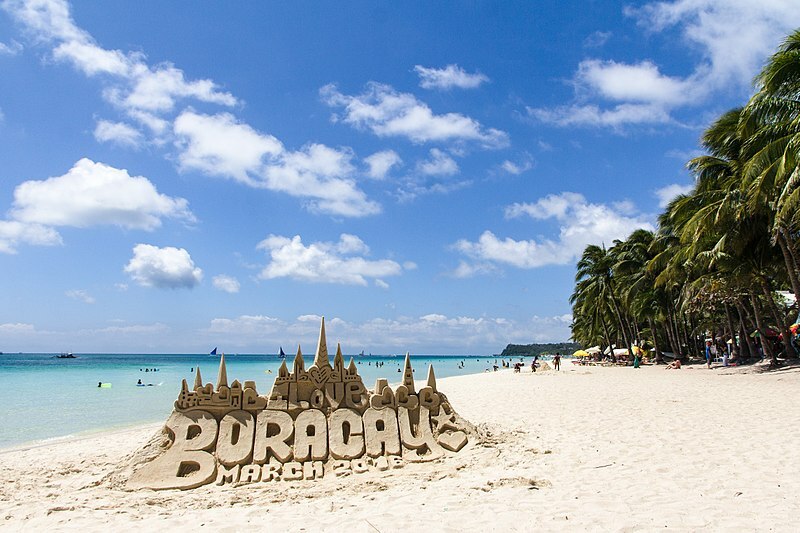 A Friends of Boracay Facebook page  has been set up to gather statements of support for the island, its workers, and its small and medium enterprises. As the date of the island’s closure nears, they are calling on the public to take a stand  for Boracay and the people who will be displaced by its closure.